Sebastain has an interesting post and comment thread about the Cooper firearms issue. Well, since the board of directors essentially fired Dan Cooper, there seems to be alot more of us than people like MTGunowner(a commenter on Sebastian's post) and his ilk. Dan Cooper was willing to sell us out to support a politician that has never met a gun control proposal that he didn’t whole heartedly support and feel that it probably didn’t go far enough. Hell, Obama is on tape saying he supports a Federal ban on concealed carry. That’s telling people in Montana & Alaska that they can’t peaceably carry their firearms as they have been doing for years. Actually, I'll take it further than that. 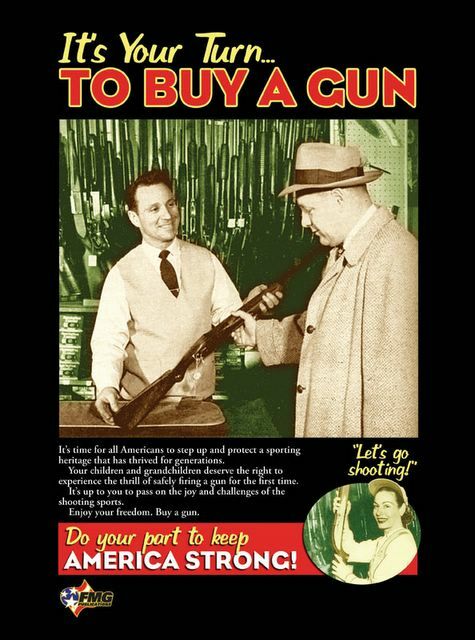 They have been selling our gun rights down the river for the last 50 years. They are ones who have allowed the anti-gun politicans to get away with the lie that the 2nd Amendement is about hunting. We will not do business in any way with these people who support by words or deeds politicians who aim to deprive us of our god-given rights. I was spending a little free time reading the Boston Globe. I was dismayed to read an article about an eight-year old boy dying at a gun club's machine gun shoot. Evidently, an instructor and the boy's father let the boy fire a fully-automatic Uzi. Before anyone could react, the short-barreled gun's recoil forced it to climb and turn on the boy. A bullet struck him in the head. The article linked above has, as of this post, 61 comments. All the commenters describe it as senseless. Several betray the ignorance of the commmenters who call for bans on all "assault weapons." Anti-gunners have been very effective in making sure full-auto and semi-auto guns are confused in people's minds. Still, I must weigh in with an opinion, but it is just that. I was not there at the club and I don't know all the particulars. Given that, here it is: the boy should not have been allowed to fire the gun on full-auto unless its magazine had been loaded with no more than three rounds. I have never fired a full-auto Uzi, but I have fired several automatic weapons including a Thompson, MP-5, and an AWD M/11 in 9mm. I know about muzzle climb and how to defeat it--trigger control. The M/11 I fired has a very high rate of fire. It can climb and pivot toward you faster than you think. It comes with a little strap in the front to help you control it. If you fire it without the wire stock extended or the strap around your hand, or a suppressor to provide a forward grip (or all three), it could easily get away from you. An eight-year old does not have the experience or trigger discipline to control a small subgun with a full magazine. The gun's owner, the instructor, the father, and the gun club made a mistake. Accidents happen, but we must take care to prevent them. I am sorry for the family's loss and the trauma that all the participants and witnesses to this tragedy will suffer. Unfortunately, they have given the anti-gun people another terrible incident to exploit. Have you ever watched your car's odometer click up to a nice round, fat number? I have. I just checked Sitemeter and Ten Ring is about to hit 300,000 visits (it's on 299,997 right now). Thank you all for your support even though we haven't won any contests for most blog posts. We are both planning election/gun posts and taking a deep breath because of the closeness of the polls. Keep watching this space. Thanks again. Here we are, less than a month from the presidential election and well, let's say that I am not at all sanguine that my side is going to carry the day this time around. I just have to look around, with my jaw dropped in astonishment that this country is on the verge of giving the highest office in the land to the Chicago political machine. Let that sink in. The most corrupt institution in this country will have their finger on the button, so to speak, and be in a position to influence all of our lives. Mayor Daley's kingdom could quite possibly get a whole lot bigger. The debate last night didn't put my mind at ease or make me feel any more confident. Let's face it, if the American people have a choice between a Democrat and a Democrat, they'll pick the Democrat(the real one) every time. With that said, I think that the odds are way better than even that Barak Obama will be the next President of the United States. There are many reasons for this, but I will name several. 1.) It is extremely difficult for a party in power to win reelection for a third term after 8 years in the White House. It has only been done twice since the Second World War: in 1948 with Truman, by the skin of his nose and in 1988 with George HW Bush, after the popular presidency of Ronald Reagan. With this fact in mind, it is already an uphill struggle, particularly so with one of the most unpopular Presidents in a generation as the current President. Regardless of other circumstances, John McCain has his work cut out for him. 2.) In hard economic times the American people invariably turn out the party in power. From Hoover to FDR, Carter to Reagan and Bush to Clinton, the American people turn to the other party when the economy sours. Maybe this is unfair, but people want someone to blame when their economic future looks bleak. This time it is the Republicans turn to get spanked. 3.) Americans love Socialism. One of the things I notice while reading right-leaning blogs is the argument to not vote for Obama because he is a socialist. Regardless of the truth of this statement, to the teeming masses of the American people, this is a feature not a bug. Think of all of the semi-Socialist programs already in place (eg. Social Security & Medicare) and think what would happen if any Republican Congress or President was to try to end any of them. I think we all know that they would be hounded from office. This is the hurdle that the Reagan Revolution could not leap and why it stalled in the mid-80’s. Americans love their socialist programs and have no problem with more of the same. 4.) Youth and/or eloquence always wins elections. Let’s face the hard fact, Obama sounds good and is quite a contrast to the old and tired looking John McCain. That may be unfair, but elections are seldom fair or about the best person winning. With these points in mind, I find it almost impossible to believe that John McCain will win the upcoming election. Unless there is a major revelation or breakdown in the Obama camp, I don’t see how he can lose. So, how are we as gunnies going to deal with this situation? First things first, take a deep breath and realize that it is not the end of the world. We have a lot more going for us than we did in 1992 when Bill Clinton was elected President. Concealed Carry is the law of the land in 48 states and Shall Issue is the law in the majority of those 48. We have the Heller decision that recognizes the Right to Bear Arms beyond anything we could have hoped in the 90’s. So from the start, we are not starting from the low level we were at when Clinton became President. A lot has been accomplished in the last decade and our opponents will have a hard time trying to roll that back. I also wonder how much they will try. One of the holy grails for the Democratic Party is some sort of universal health care coverage. Several years ago, I visited the Truman Presidential Library in Independence, MO and they had a list of the Democratic Party planks in 1948. One of them was, you guessed it, universal health care. So, they have wanted this for a loooooong time. Now, if they from the get go govern to the Left, as Bill Clinton did in 1993, they will immediately get a push back from half of the American people, as Bill Clinton learned in 1994. If they want to accomplish any of their agenda, they will have to moderate and at least attempt to govern from the middle. So, if they push radical gun control or other radical Left policies, they will be shut down in their tracks and there will be a party switch in Congress in 2010. Another factor that will ameliorate the influence of Obama and the Democrats is the flip side of America’s love of Socialism. America may love its socialism, but it hates taxes. The problem for the Democrats is that to pay for one, you have to raise the other. Raise them too high and they risk being turned out en-masse from office. Raising them in the teeth of a recession is committing collective suicide. The Democrats can try deficit spending, but then they face a return to the stagflation of the seventies. If they go too far with either tax hikes or deficit spending, they risk being turned out on their ear. With the programs that Obama has promised, they will have a real problem trying to pay for them without turning to one of the two choices just mentioned. Finally, I think it is time for the Democratic Party to put its money where its mouth is. They have been reacting to and blaming Bush for the last two years they have been in power. Now, they can take their try at leadership. It's a lot harder to lead than to react to the other party. Let's face it, the Democrats have been acting like the opposition party for the last two years. I can't think of one element of their agenda that they have moved forward. They were ostensibly elected to "get us out of Iraq" and not only are we still in Iraq, they have passed every one of Bush's Iraq funding proposals. If I was of the Left, I wouldn't be very happy at all with them. Now, they won't have Bush to kick around anymore. If they are in charge of everything, they will have to come up with proposals, defend them, and bear the consequences for their success or failure. It should be interesting. So, as I said, it is not the end of the world, it just seems like it. American politics has built in corrective factors that do a pretty good job of keeping things from straying too far from the middle. Now, that I have said all of this, how can we deal with this as individuals? 1.) Donate to the NRA: If you are not a member, join now. If you are a member, increase your membership to the next highest level. Give extra to the NRA-ILA as well. They will be our primary front in stopping any anti-gun legislation the Democrats may pass. I don’t think the Democrats will immediately try to pass much gun control for the reason I stated above, but they also may let their emotions get the better of them (they are wont to do that). A strong, well-funded NRA will be our best defense against that. 2.) Buy any gun on your wish list that you have been putting off for the future, particularly if that gun is an evil black rifle. If any gun control does get passed, it will be a renewal of the Assault Weapons Ban. Buy them now while you can. 4.) Put the Blue Dogs toes to the fire. The Democrats won Congress in 2006 because they ran people for Congress in states like Virginia and Montana who are pro gun rights. If the Democratic leadership starts to push gun control, let the Blue Dogs know that we expect them to vote against their leadership. If they don’t, let them know that they can easily be replaced by a Republican who will support the right to bear arms. Again, it’s not the end of the world. We gunnies need to keep fighting and let the other side know that we are not going to curl up and quit just because they managed to get their guy in, for once. Regardless of the outcome of this election, be sure to go and vote for John McCain. This election will still be close and McCain could win a squeaker. I think the odds are against him, but you never know. Anything could happen. I guess I'm feeling a little depressed right now. I'm depressed that we might soon face a "perfect storm" of frustration in this country. One frustration among our fellow citizens is the election. No matter who wins, the new president will face the hostility of almost half the country. Now, I don't want Obama to win this election. I would like to say though that I will accept the loss and then support my country’s president. But, I will never support Obama. He is totally antithetical to me and my beliefs. Surprisingly so, because I still have some sympathy with certain leftist ideas. If Obama wins, then I fear his supporters more than the man himself. They are reading all sorts of hopey-changey stuff onto the Obama blank slate. They hope for their change, which to some means "free" doctor visits, a brand new house provided by the government, all sorts of social justice (whatever that is), and world peace. They won't get it and they’ll be mad. The economy is another source of frustration. My retirement account lost about 8% of its value. That hurts. But what about people who’ll lose more than just a little retirement account paper money? Who could lose their jobs, homes, families? There could be a lot of frustrated people. Look back at history and you’ll see that frustrated people often look for a “man on horseback” to lead them. They sometimes pick a Napoleon or a Hitler. Obama is neither of these examples, but he may inadvertently pave the way for such a person who could be from either the left or the right. God only knows how all of that would fall out. Or, maybe we’ll just muddle through as our nation usually does. Long-term speculation is only so much hot air. Too much can change. Still, I’m concerned about the short term. Will frustrated people strike out in riots and social unrest? Will crime rise along with a faltering economy? Will frustrated people take it out on anyone they blame for their problems (whites could attack blacks or vice versa, the dispossessed could attack the comfortable, etc). Yosemite Sam and I already decided to buy another black rifle in case there’s a new “assault weapons” ban. I just hope we never have to use it any other place than the range. Six months ago I would have scoffed at the idea. Given the current and potential levels of frustration, now I’m not so sure. Evidently some people in what used to be great Britain want us to eat less meat and dairy. Of course, they tie it into "global warming." Best defined as "the amorphous threat that will ensure we can tell you how to live." You know, that thing. I don't eat that much milk in a week, but I eat more cheese than that. As for the meat, that's about a day's consumption. I am back on a low-carb diet and losing weight fast--so there. I'm a proud former liberal. I believed that gays shouldn't be hassled, that birth control was up to me, that I should be able to wear pants in church, that I shouldn't have to go to church at all if I didn't want to, and that racial and ethnic equality was right and fair. I still believe all that and more, but I no longer support these foolish progressives. Everything they do recently has been a way to force you into something. Give up meat to save Gaia. Give up guns to protect the children. Pay more taxes to fight poverty. Don't drive a big car. Don't, don't, don't. I'm tired of these people. I want them to go away and take their oppression with them. Leave me alone. As a song I once considered a liberal anthem said, "he can't even run his own life, I'll be damned if he'll run mine!" As far as the anti-meat article; roll it in tempeh, texture it with tofu, sprinkle it with a few sprouts, and cram it where the sun don't shine. LEAVE ME ALONE!